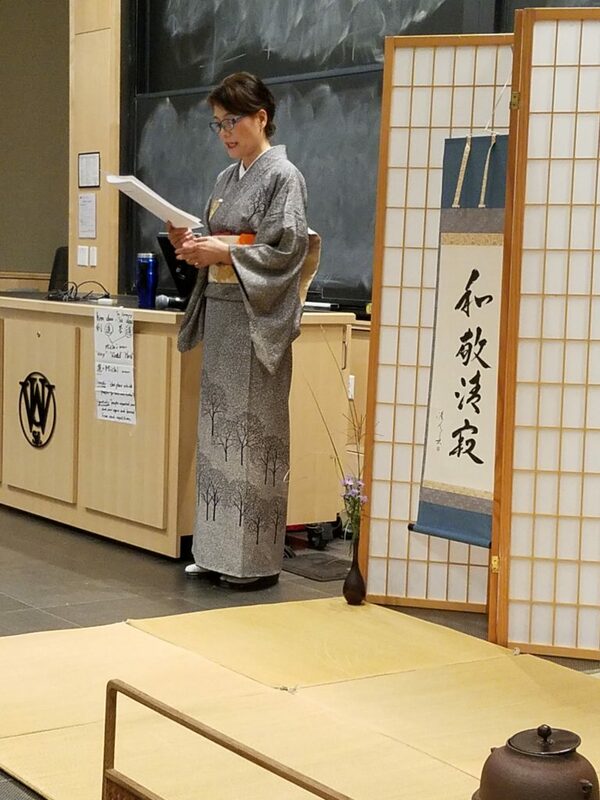 On October 27th, we performed our tea ceremony at Hillman Hall, Washington University and served sweets and teas to everyone who came to the event. Since both chado and kendo have the same “do (way)” in its name, we explained about the meaning of “ do” in the context of Japanese way of training, commonly seen in Japanese culture and Sports. This is our 4th year to perform at Kendo Club. 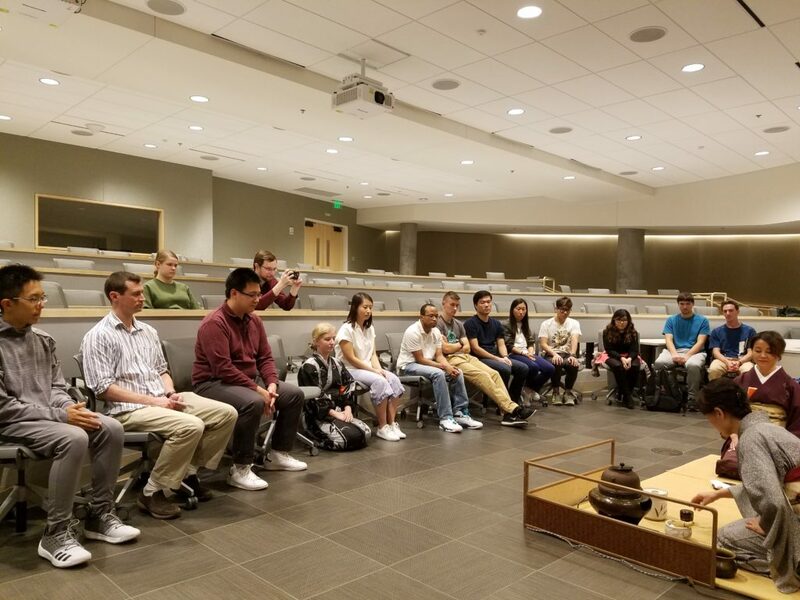 Even though we had less numbers compared to 50 participants last year, we really enjoyed the deep interest and intellectual questions from all participants. For St. Louis Chado Society, we had several new students this year and three of them helped the event. We hope they enjoyed their first experience of tea event outside our regular tea room.